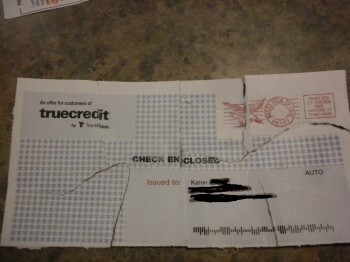 I was all, “Oh, I wonder who this is from?” It didn’t take long for me to find out that it was a check from Truecredit for Transunion Bank for my cash back rewards from my credit card. Except that I don’t have a credit card that gives me cash back. You get charged $159.99 a YEAR! 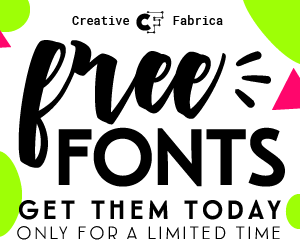 for this service!!! 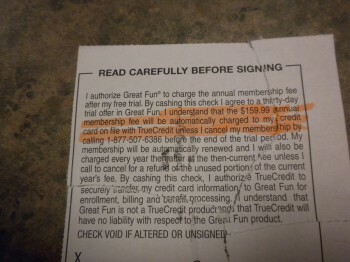 In the small print on the inside of the letter, it tells you that by signing the back of that check and depositing or cashing it, you are authorizing “Great Fun Club” to charge your credit card $159.99 a year for whatever the heck they do. 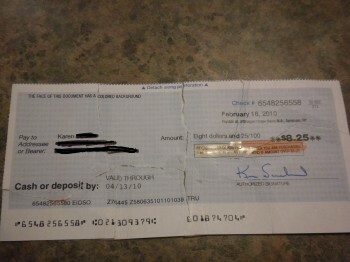 But, if you sign the check, you have given your consent for the charge, so you have no recourse. Be careful! Don’t do it! 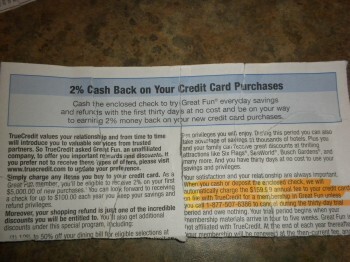 That measely $8.25 they give you as a cash back reward is part of the scam! How many people will just sign on the line and make that deposit? The real reason they send this crap out. And even though they tell you to read carefully before signing, how many people really will do that. Are they counting on people being busy and just trying to hurry up and get things done? This should truly be Illegal! A good lesson to read before you sign. Thanks for taking the time to warn us. This world is so full of scams and shady businesses. It’s enough to make you sick. Taking advantage of people is wrong and cruel. Karen – sounds like something that should be turned into the post office. I think that is who is responsible for chasing down scams. That, or call the BBB. I have a feeling that it’s one of those scams that once the law figures it out, they will be shut down. Thanks for sharing something so important! 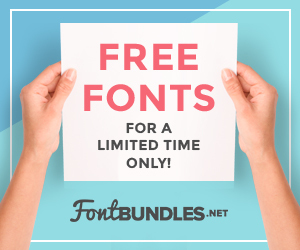 I hate to tell you this, but this isn’t a new scam & yes, they are banking on people not reading the “fine” print. I’m sure many people fall prey to this.